I have a similar issue. It shows my movies in the recent field, but when I actually go into the list, there are no movies. It also can't find the posters for them. Please fix. Come on guys nore info needed. Full file name and path. Debug log (wiki) of scraping. My movies are stored on an external hard drive. The path is External Drive > Movies > [Movie Title with Year] > [.MKV file]. Mistake one, the year for Harry Potter and the Deathly Hallows Part 1 is wrong, it is 2010, not 2011. I haven't delved deeper, as you really need to check your naming (including years). Ok, that was my mistake, but that doesn't explain how NONE of my movies are listed. 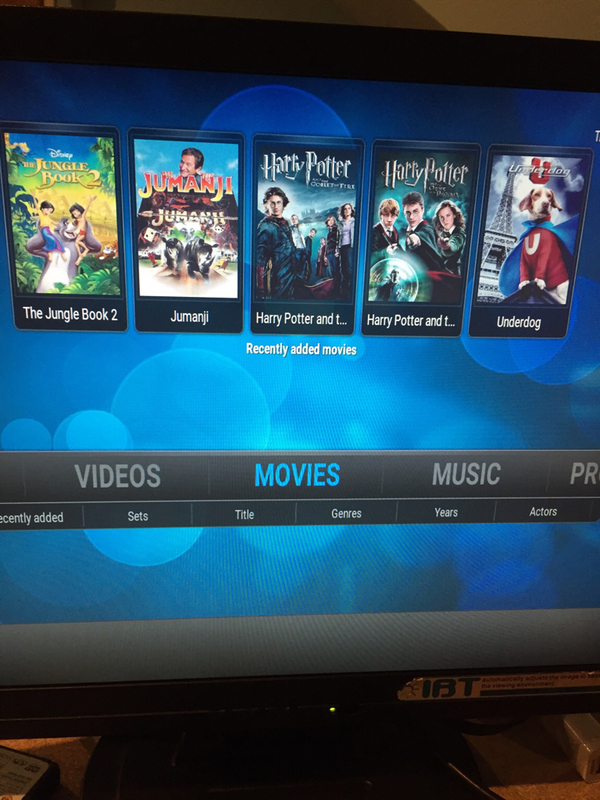 They were found by Kodi because they are listed in the recently added spot but in the actual movies list, it's empty. I'm aghast that users just fall into the software without so much as a glance at Quick start guide (wiki) or the First time user (wiki) guess it shows how flexible Kodi really is. Nomenclature has always been a stumbling block for new users, getting the titles right is important, and most tiles have been used more than once, hence why the date usually in parenthesis is important. The librarian stuff is for the birds you say... yup and that's why I use TheRenamer (wiki) drag & drop easy for TV or Movies.... if the renamer can't find it, Kodi will cough on it too. Nickr valid point can be side stepped, as the Renamer gets the dates right too! Then there's the matter of windows auto-assignment of external drives.... So let's say you did the hard effort of telling Kodi to scrape and it was relatively successful (should be 99% at least with proper titles), then you unplug the drive.... next day you insert a USB key and plugin the drive oops... it's all gone, well the listings seem to be there.....but no art, nothing in movies.... shoot I'll go file mode, and just watch the first thing. You kinda missed the point. 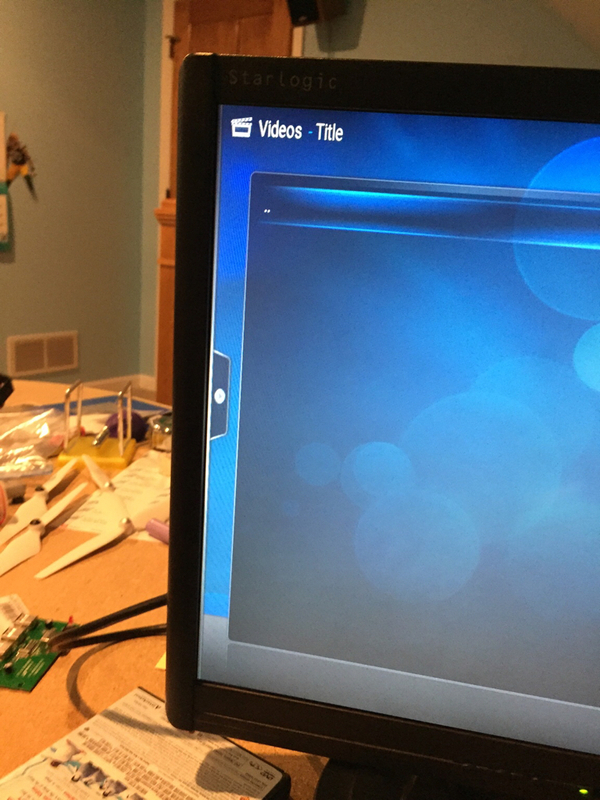 What was scraped in as drive E:/ is now drive F:/ and that little USB key is drive E:/ so all the paths are incorrect and Kodi doesn't find any art in that association. The trick here is to manually label your drives from the other end of the alphabet, so windows has plenty of drive letters to use for auto assigns. Make sure you have loaded the add-on Artwork Downloader it will hit everything that has a proper title. 1800 movies and you're only now getting this straight? Get your MoJo back and look at a few of these Out-of-the-Box threads. I run on the RPi so I can't necessarily use that plugin. And I don't have 1800 movies, that was the OP. @technoj that's what you get for saying me too! You should have started your own thread, your issue is likely a path problem, but doesn't preclude some of the nomenclature issues I mentioned above. Check this Supplemental tools (wiki) for setting up renaming. Try to manually add one of your movies and see if it scrapes then note the path. Debug log requested. log (wiki) Most of the messages posted have little to do with video, best answers are in the operating system forums. @PatK sorry I hang out on Stack Exchange a lot and similar threads are not allowed. Is there a specific plugin from that list of supplemental tools that the RPi supports that you recommend over the others? Once I get home and have a chance to try it I'll upload a log. Ok I double tripple quadrouple checked my titles. I had it rescan manually, and downloaded new cover art. Then generated a new log. But besides that, you have permissions issues. Artwork Downloader can't create the directories it needs on the hard drive. How many movies are you missing? What file system is the external hard drive? Ok, ignore Harry Potter. That doesn't explain why NONE of he movies are working. How do I fix the permission issues? I am missing all of the movies. It lists them in recently added, but no where else. Upon clicking one of those recently added links, I am able to play the movie. OK kodi doesn't seem to find many movies on your external - how many do you actually have? Using the confluence skin, what do you see when you click on the Movies tab on the Home screen?